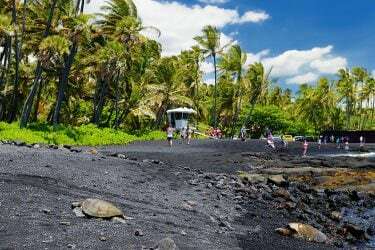 Geographically dominated by the slopes of Mauna Loa, Kau makes up most of the southern end of the Big Island. 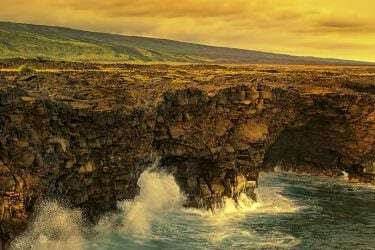 Home to world-renowned Kau coffee, gorgeous multi-colored beaches, lava caves and easy access to Hawaii Volcanoes National Park, Kau Hawaii is sleepy, peaceful and filled with incredible sightseeing. 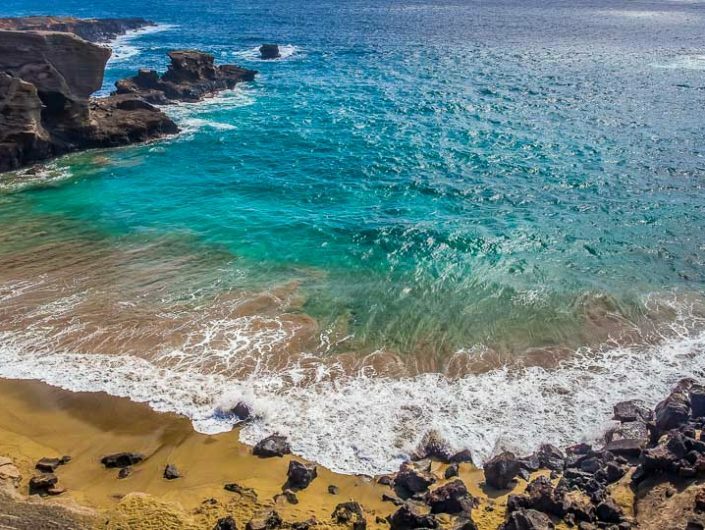 With the longest undeveloped coastline in the islands, Kau has some of the most beautiful remote beaches in the world. 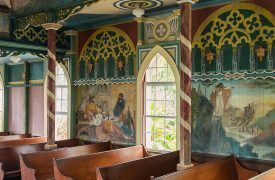 The southernmost region on the Big Island is home to multi-generational Hawaiians and that local influence shows throughout its vast expanse. 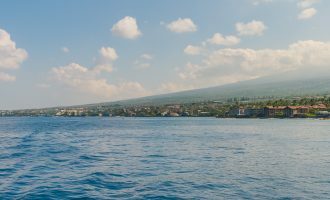 Stretching from the region known as Volcano to the southern edge of Kona, Kau is a largely rural area, with coffee farms, sugar plantations, and plenty of opportunities to enjoy the natural setting. Kau is an excellent choice for a day trip or a humble alternative to the luxury resorts found elsewhere on the Big Island. 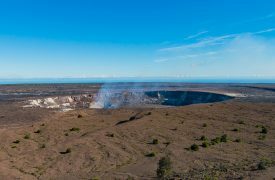 The most immediate and imposing geographic feature in Kau is Mauna Loa, a 13,000 foot active volcano whose slopes are rich in nutritious soil and blessed with generous rainfall. 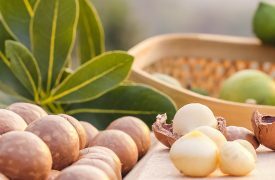 Fruits and vegetables grow easily, but coffee, macadamia nuts, and sugar are the historic cash crops in the region. Kau also houses the longest undeveloped coastline of all the Hawaiian Islands. Ka Lae, or the South Point, is the southernmost point in the United States. 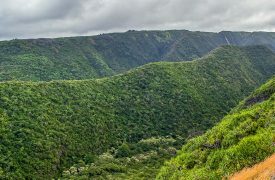 Further north is a massive forest reserve bearing the same name as the region before giving way to Hawaii Volcanoes National Park to the east. Outdoor adventurers will love a stay in Kau. A vast network of hiking trails, coastal walking routes, and lava tubes provide plenty of opportunity to explore the natural wonders of Hawaii’s southern point. Planned and guided tours of the forest reserve and the new southern region of Hawaii Volcanoes National Park are excellent options for your first journey through Kau, but the parks throughout the region allow for self-motivated adventurers to explore largely uninhibited. Aside from the volcano, visitors to Kau are attracted to Ka Lae, the southernmost point in the United States and an excellent historic site for learning about early Hawaiian and Polynesian settlers. 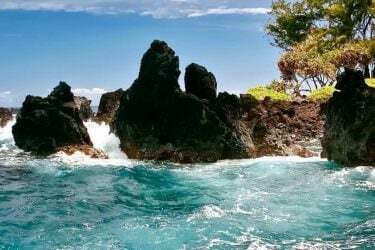 Papakolea is home to a famous green sand beach and is a straightforward coastal hike, as is Punalu’u and its black sand beach and green sea turtles. Most of Kau is lower key compared to the high-end tourist areas of other areas of the island, but the community in the area is as tight-knit as it comes in all of Hawaii. 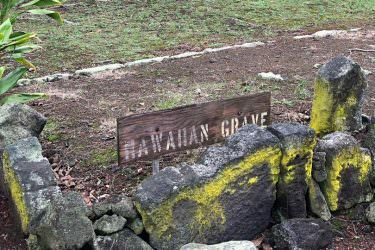 While the southern region of the Big Island has been repeatedly targeted for large-scale developments and scientific research projects, locals have prevented mainland and outside influence from altering their home in the same way as is visible throughout much of Hawaii. That said, Kau is also among the most affordable areas of the Big Island, with residents sometimes commuting to Kona or Hilo for work. Visitors to Kau enjoy humble accommodations outside of the one major resort in the area, Sea Mountain Resort. Bed and breakfasts, private inns, and vacation rentals are sprinkled throughout the country highways and small villages in Kau. Two golf courses exist in the area, the first being associated with Sea Mountain Resort and the other operated by volunteers: Discovery Harbor. Visitors to Kau in May of each year can enjoy the Kau Coffee Festival, which includes tastings, a pageant ceremony, star gazing, and an organized group hike. 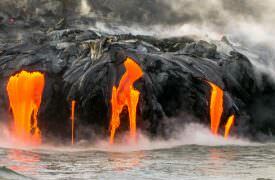 Archaeological evidence points toward the first Polynesian landing on Hawaii occurring in Kau, near Ka Lae as early as 200 A.D. Likely guided by the stars and attracted to the sight of Mauna Loa, early settlers set down near present day Kailikii and Waiahukuni as well as several lava caves throughout coastal Kau. Kamehameha the Great resided in Kau, with historical sites throughout the area showing evidence of royalty living there through the history of the Kingdom of Hawaii. From 1800 through the mid 1990s, sugar plantations were extremely prevalent in the region and the economic factors involved in the sugar trade to the United States played an important role in the archipelago’s annexation in the late 19th century. 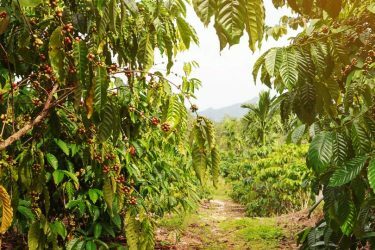 Most of these plantations have since been taken over by the National Park Service or repurposed as cattle ranches or for growing more profitable crops like coffee and macadamia nuts. 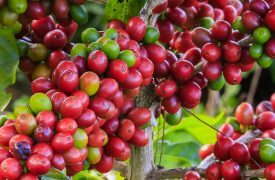 Now the Kau Coffee Mill is well known for serving extraordinary coffee and even letting you take home a few of their world’s finest coffee beans. Home to a vast variety of geographic and agricultural features, Kau has remained relatively untouched by the economic influences that have altered other regions of the Big Island. 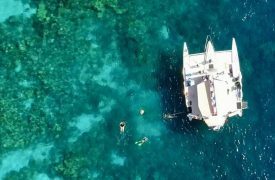 While the array of resorts, beaches, and amenities found in Kona aren’t present here, Kau offers an affordable and memorable journey for visitors to the Big Island. 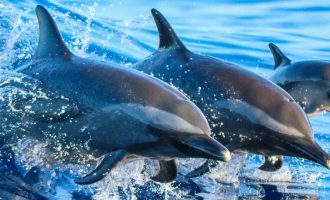 Backpacking, hiking, cycling, deep sea fishing, camping, and sightseeing are all possible with or without a tour guide, allowing for an extra degree of freedom and exploration. Those seeking an alternative to rural living have access to Sea Mountain Resort and its accompanying golf course, but Kau is a true retreat for those seeking solace and solitude. Writers, artists, and philosophers have sought out the natural beauty and reclusive features Kau provides, making it an ideal destination for a quiet honeymoon or a solo vacation. Even Mark Twain took time out from his travels to spend time in this incredible region. For those inclined to explore the world’s caves, the volcanic activity in Hawaii makes for a fantastic, one-of-a-kind spelunking experience. 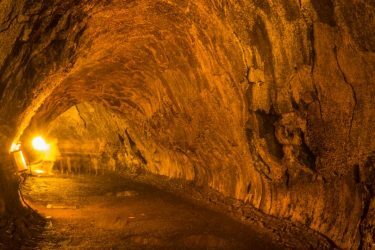 If you’re visiting the Kau Area, here are the state and national parks you should see to gain a taste of Hawaii’s culture and unique natural wonders. 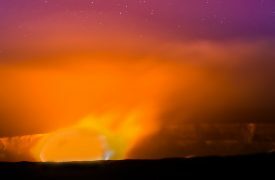 Both Ka’u and Volcano Village offer incredible proximity to Hawaii Volcanoes National Park, before you book your B&B or vacation rental, consider these pros and cons for each area. 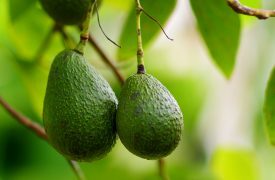 A working farm with fresh produce and lively and educational tours, fun for the whole family. 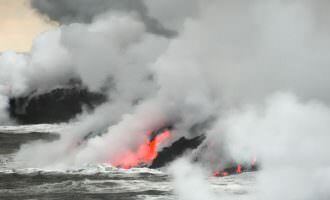 If you’ve ever wanted to see lava flowing with your own eyes, Kilauea Visitor Center in Hawaii Volcanoes National Park will get you started on your journey. 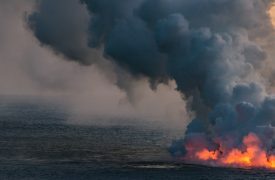 A small, convenient tour company with decades of experience on Hawaii’s Big Island, the Volcano Van helps you make the most of your vacation. 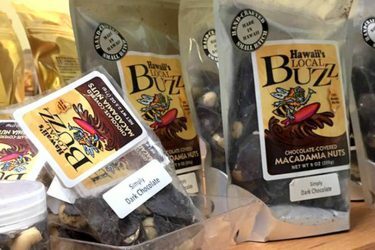 Ka’u coffee farmers have made significant strides in producing truly gourmet coffee and Ka’u Coffee Mill represents their very best efforts. 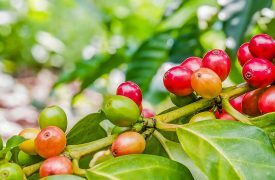 A historic agricultural wonder located south of Kailua-Kona on the Big Island, the Kona Coffee Living History Museum and H.N. Greenwell Store is everything a coffee lover could ask for. 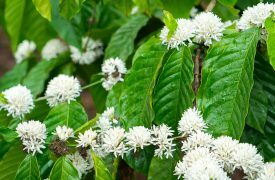 Renown for being the first patented, trellised coffee plantation, Kona Joe Coffee is among the world’s finest 100% Kona Coffee. 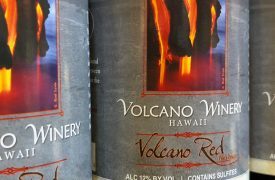 With the unique environment of the Big Island’s southern regions at their beck and call, Volcano Winery offers Hawaiian wine grown right on the island and unlike any you’ve ever tasted.